The most spectacular growth stories in software in the last decade have been the digital platform companies. 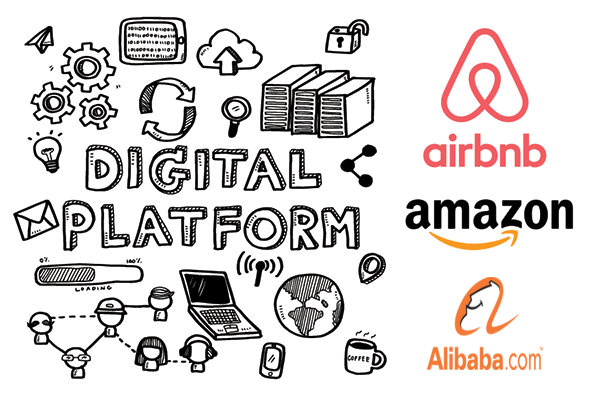 Some of the best-known examples are the Big A’s: Amazon, AirBnB, and Alibaba. Scalable technology allows platform companies to attract customers rapidly without jeopardising reliability or re-engineering processes. They can also scale horizontally, benefiting from strong network effects to offer related products and services. In the year 2000 there were only a handful of large firms that could be described as platform companies. As of 2016, there were over 170 platform companies valued at US$1 billion or more. “If you build a software product once and serve multiple customers, that’s powerful. If you put that product in the cloud and make it a scalable platform for hundreds or even millions of customers, it’s even better. When your cloud-platform company is focused on a large addressable market and it benefits when its customers are successful, investors get really excited”. Global trade of digitally deliverable services has more than doubled over the past decade, comprising approximately 50% of total services exports. “Australia risks being left behind in the shift to platform companies. Australian corporates haven’t moved swiftly enough to shift their business models to platforms”, according to John Meacock, chief strategy officer for Australia and Asia for Deloitte. “They are not innovating systematically, he said, and are focusing too much on product and staff-led innovation rather than business model innovation which will “shift the dial””, he said. Australia is not without its platform successes, however. Notable “A-list” billion dollar companies include AfterPay and Atlassian. 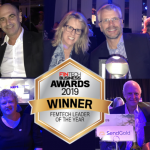 Sydney-based early-stage company SendGold have heeded this call and have taken the software platform approach to one of the largest markets in the world: gold bullion. Daily gold trading exceeds $200B, 25% more than the entire daily S&P 500 share market trade volume. SendGold is hosted in the Amazon Web Services cloud, which means they can scale it globally without adding significant costs. The platform is designed to enable them to digitise and monetise other physical investment assets like silver, platinum, and investment-grade diamonds. The company’s Gold-as-a-Service APIs were designed specifically to work with other platform companies, enabling other businesses from gaming to loyalty to neo-banks to provide asset-based transactions to their customers. The company started with physical gold because it is not a financial or banking product so there is no additional regulatory overhead for SendGold’s platform business partners. This means SendGold can create new channel categories where value can be exchanged for the first time. The company has their sights on messaging, chat, and social platforms, which have struggled to offer global payments and value exchange because of the cross-border friction inherent with national bank currencies. 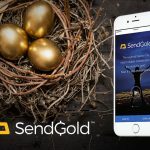 SendGold’s deal with Global Reward Solutions (GRS), the world’s largest cloud-based loyalty platform, is an example of their platform strategy in action. 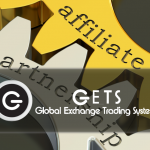 A single platform integration has enabled SendGold to access the GRS global customer base of more than 3 million people. SendGold’s GRS integration goes live this month. The company also has two other platform deals signed, one with Asia-focused gaming platform GMG Global, and one with China-based accounting platform EZ Cloud. SendGold’s equity crowdfunding offer is currently open via the OnMarket platform. 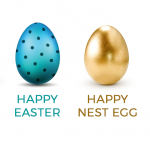 SendGold is targeting a minimum raise size of $500,000, and a maximum of $2 million. The minimum bid size into the offer is $250. Invest now at OnMarket to own a piece of this company that has turned gold into accessible, peer to peer, digital money. Consider the offer document and general risk warning before applying.